Reports: Dodgers sign Yordan Alvarez before international signing period closes. The Dodgers capped the 2015-16 international signing period by signing infielder/outfielder Yordan Alvarez. The 18-year-old received a $2 million signing bonus, according to multiple reports, which will cost the Dodgers $4 million after a 100 percent tax levied by MLB is figured in. The Dodgers will be restricted to $300,000 signing bonuses for the next two international signing periods under the terms of the current Collective Bargaining Agreement. The next signing period begins July 2. Since June 15 was the final day of the 2015-16 signing period, the Dodgers were under a tight deadline to sign anyone they considered unattainable with a $300,000 purse. The Dodgers have spent in excess of $40 million on signing bonuses for international amateurs since July 1, 2015. Figure in the 100 percent tax, and the Dodgers’ actual tab is likely to exceed $80 million — more than at least three teams will spend on their entire major league rosters in 2016. Dodgers suspend Erisbel Arruebarrena, again. For the second consecutive year, the Dodgers have suspended minor league shortstop Erisbel Arruebarrena for the remainder of the 2016 season for violating his contract. The 26-year-old, who was on the roster of Double-A Tulsa, has three years and $13 million remaining on the five-year contract he signed in February 2014. He is not on the Dodgers’ 40-man roster. The Dodgers suspended Arruebarrena last May for the duration of the 2015 season. He appealed the suspension to Major League Baseball, and his ban was reduced to 30 days. Arruebarrena slashed .287/.317/.368 at Tulsa last year. In 17 games this season, he had a .182/.224/.400 slash line with 21 strikeouts in 55 at-bats. Dodgers farm director Gabe Kapler declined to specify which aspect of his contract Arruebarrena violated. Erisbel Arruebarrena has suspension reduced to 30 days. The minor league shortstop, whom the Dodgers suspended for the remainder of the season in May, appealed his suspension to MLB. 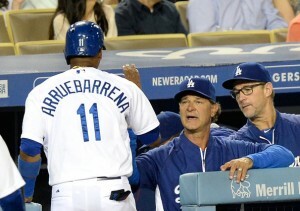 Arruebarrena and the Dodgers settled before the appeal reached a hearing phase, and his suspension was reduced to 30 days. The 30 days are expiring this week, and Arruebarrena will report to Camelback Ranch in Glendale, Arizona. News of the reduced suspension was first reported by NBCsports.com. Game 40: For Dodgers, the new normal is worse than the old normal. SAN FRANCISCO — Remember the good old days, when the Dodgers had the best offense of any club in a generation, averaging five runs a game? They still are averaging five a game, remarkably. You wonder where that team was the last few days. Thursday, Madison Bumgarner piled on to Clayton Kershaw’s season-long misery by hitting a home run, something the Dodgers forgot how to do while getting swept at AT&T Park. Hyun-Jin Ryu and Erisbel Arruebarrena — remember him? — won’t be seen in a Dodgers uniform again this year. I’ll post some quarter-pole-of-the-season thoughts here in a bit. Dodgers suspend Erisbel Arruebarrena for the remainder of 2015 season. SAN FRANCISCO >> The Dodgers suspended minor league shortstop Erisbel Arruebarrena for the remainder of the 2015 season Thursday, further diminishing his already faded role in the organization. Arruebarrena had not played for a Dodgers affiliate this season after being assigned to the club’s extended spring training camp in Glendale, Arizona. 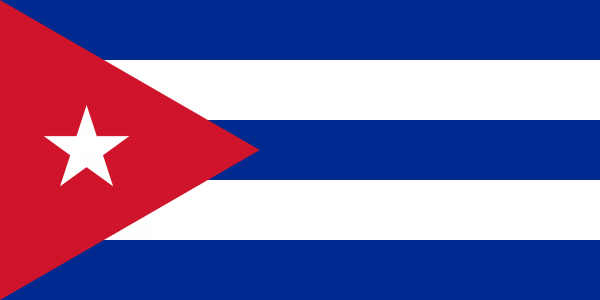 The 24-year-old from Cuba was initially designated for assignment in December but went unclaimed on waivers. He was not invited to the Dodgers’ major league spring training camp. Initially signed to a 5-year, $25 million contract out of Cuba in October 2013, Arruebarrena made 22 appearances for the Dodgers last season, mostly as a defensive substitute. He collected eight hits and 17 strikeouts in 41 at-bats, a .195 average. Law enforcement records do not show Arruebarrena ran afoul of the law while in Arizona. That would indicate that Arruebarrena’s alleged contractual violations were confined to his on-field behavior, or the lack thereof.